Football really could be coming home for house hunters in its Western region, with Bovis Homes giving buyers a special treat on England match days*. There could be triumph all round when the team play, as Bovis Homes is celebrating the sporting summer with an offer which will save new customers hundreds of pounds. 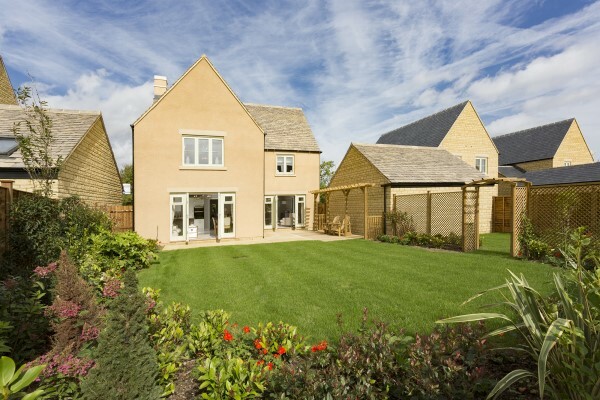 Bovis Homes has a wide range of homes available across the region, including Coopers Edge, Cheltenham, Fairford, Moreton-in-Marsh, Upper Rissington, Faringdon, Didcot, Witney and Welland. Designed for modern living, Bovis Homes include contemporary features, creating stylish and attractive properties which boast attributes such as open-plan living areas, spacious sitting rooms, fitted kitchens and en-suite bathrooms. “We offer a wide range of purchase assistance schemes, which could help to get you moving, including Help to Buy – Equity Loan, which is exclusive to new-builds and is available for first-time buyers and existing home owners alike, Home Reach and Smooth Move,” says Stephanie. Working in partnership with property provider heylo, Home Reach is a Shared Ownership scheme which gives purchasers the option to part-buy part-rent their house. With a mortgage required on only part of the property, it could provide the answer to many home hunters looking to get on the housing ladder. Meanwhile, with Bovis Homes' Smooth Move scheme, the house builder can deal with the estate agent on the buyer's behalf, even paying their fees. To find out more about Bovis Homes and its purchase assistance schemes, go to www.bovishomes.co.uk or visit the sales centre.